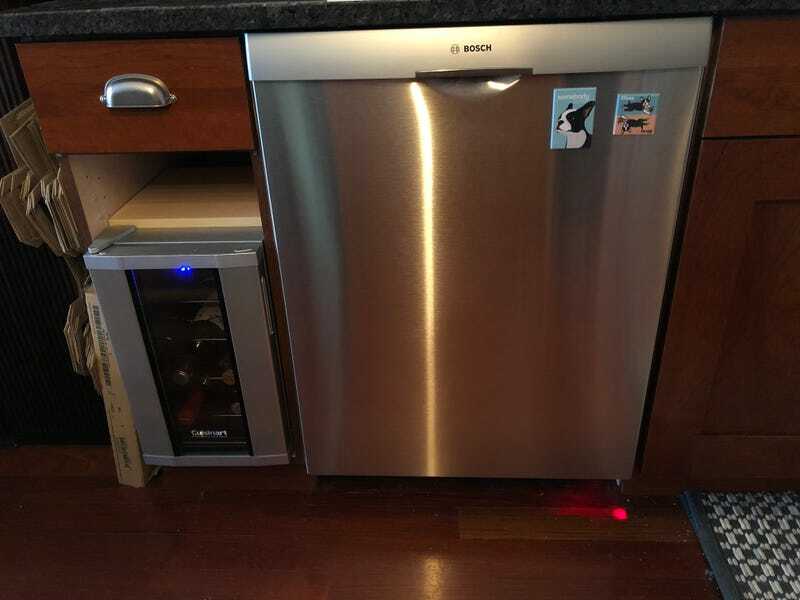 The post from earlier this week or later last week (that I’m too lazy to find) got me thinking, “Hey, we kind of need a new dishwasher.” So, as of this morning, old one is gone, new one is in. We are about halfway through the initial cycle and this thing is incredibly quiet. As in, so quiet, it’s a little alarming. I’m actually pretty sure it cleans dishes with sorcery, not soap and water. Totally worth it. I’m also kind of hoping that at some point one, or both, of the cats tries to play with the light on the floor.